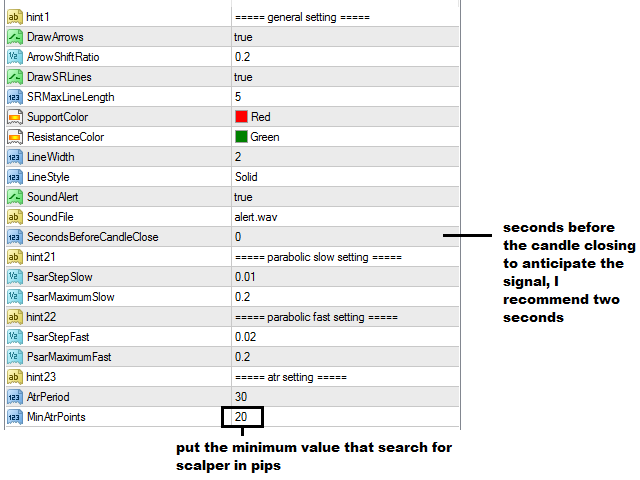 It is an indicator for high quality scalper signals that can be used in any timeframe. The indicator has an alarm that can alert the trader to the trading starts, and has a proactive system that can be used to improve risk management and also to alert the trader in the trading starts. 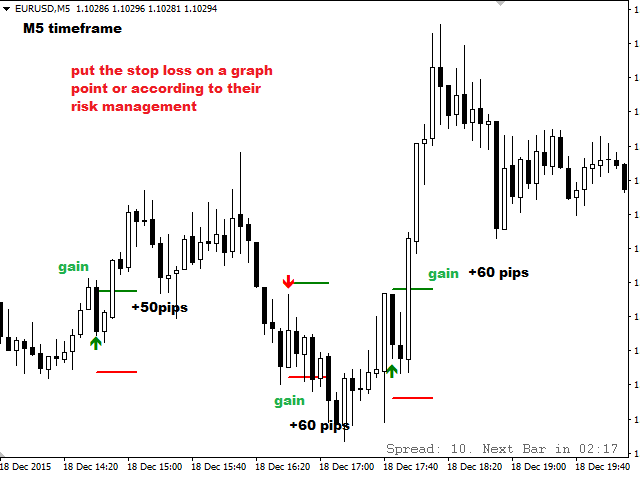 The indicator suggests only entry point and take profit, leaving the stop loss to the trader's discretion, its recommended at the last top or bottom, or at a point in accordance with the risk management. SecondsBeforeCandleClose - if zero, the signals will be given only when the candle closes, any greater value is the time in seconds before the candle close to the system will give the signal. 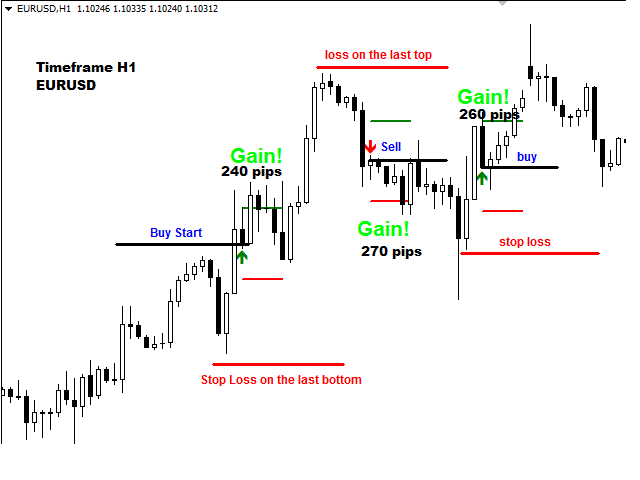 MinAtrPoints - This field refers to the minimum amount of pips that you want to perform scalper. All signs smaller than the stated value, will be ignored. The other parameters are customization and others, are indicator calibration.